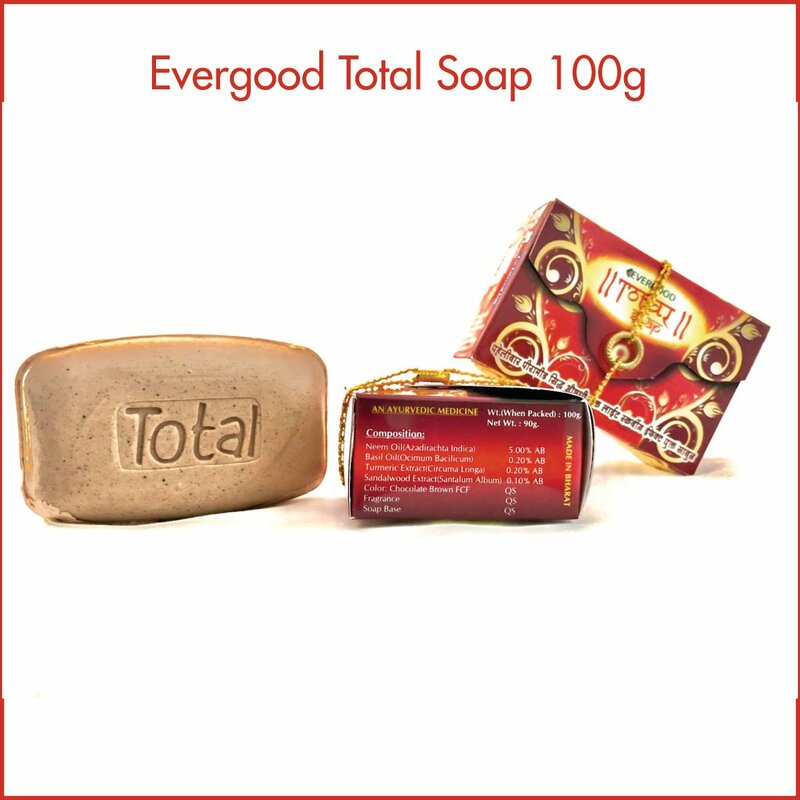 Evergood Total Soap with scrubbing effect is made by using ayurvedic extracts of Neem, Turmeric and Sandalwood. Neem and Turmeric Extract for natural anti-septic. Sandalwood Powder for soothing experience.